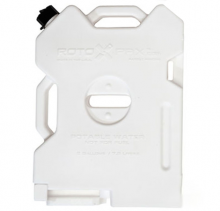 Like the gas containers, our water containers are rotationally molded and great for storing any potable liquids as well as being frozen for nice cold water all day long. 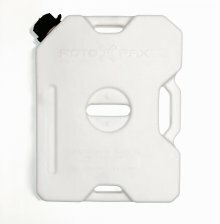 However, the plastic compound is a food grade plastic so it is safe for drinking. Not recommended for gasoline. 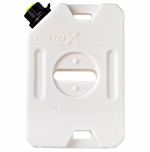 The Rotopax potable water containers are available in three sizes: 1 gallon, 1.75 gallon, and 2 gallon. 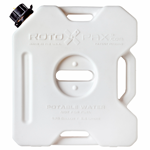 Frozen for ice cold water all day long.